Here is just a partial list of possible causes of IBS!!! Research continues. Irritable bowel syndrome is the name for a group of symptoms, not a disease. It’s not like the flu. The flu has one cause, the influenza virus. IBS doesn’t seem to be like that, in fact there may be many causes of irritable bowel syndrome. That’s why it’s so hard to nail down. At this point, no one has found one specific cause of IBS. But thanks to tireless work of countless researchers, we know a lot more about it, and what you can do to prevent symptoms of IBS. Listed below are some of the current theories about the causes of irritable bowel syndrome. Included in the list are some things don’t cause IBS, but can make it worse or trigger an attack. What Are the Possible Causes of IBS? 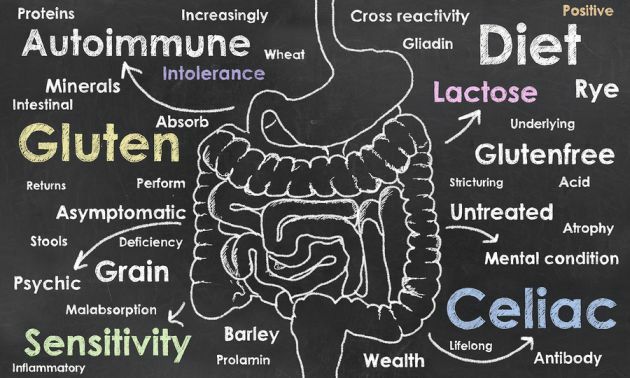 If your Colon (also known as the large intestine) is unusually sensitive, it may over react to things like stress, food sensitivities and other bowel irritants. That leads to bowl spasms, pain and other IBS symptoms. People with IBS often have problems when they eat certain foods. Learning to avoid your IBS food triggers can REALLY help your health in many ways. When I stopped eating wheat, many of my health problems disappeared. 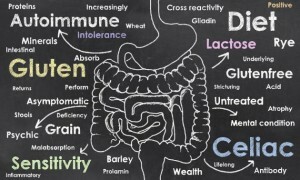 Wheat and dairy products are two major causes of IBS symptoms. Some other IBS triggers are fatty foods, caffeine and alcohol. Extra pain sensors in the colon may be one of the causes of IBS. In 2008 a British study found that people with IBS have more of the pain receptors responsible for burning sensations. These receptors respond to spicy foods like chili peppers. Some researchers believe these extra pain receptors may be one of the main causes of irritable bowel syndrome. Undetected parasites can cause the symptoms of IBS. Many people have parasites without even knowing it. Some people have IBS symptoms even after getting rid of parasites, as explained below. Researchers have proposed that parasites and bacterial infections can somehow damage the nerves or structure of intestines. One theory is that this damage then causes the bowel to become more sensitive to irritation, and more prone to spasms and other IBS symptoms. There are good organisms and “bad” organisms in your bowels. If these get out of balance, it can be one of the causes of IBS. No one knows why, but some people develop IBS after a bad bout of gastroenteritis (the dreaded stomach flu). Researchers have proposed that a severe bacterial infection along with diarrhea can damage the lining and/or nerves of the intestinal tract. This damage may prevent us from breaking down or absorbing certain foods. When these foods don’t get processed properly they then cause irritation in the large intestine. Voila. Instant IBS. That’s the theory anyway. 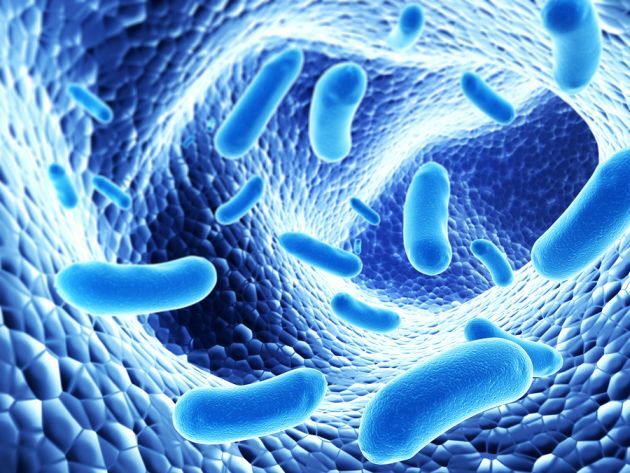 There is also the “small intestine bacterial overgrowth” or SIBO theory. This is where bacteria is growing where it doesn’t belong, which leads to IBS symptoms. Doctors have been using rifaximin to treat SIBO over the past few years. Antibiotics kill off the good bacteria as well as the bad. Without the good bacteria your intestinal tract doesn’t function properly. Also, without the protection of the good bacteria (more properly called “intestinal flora”), yeasts can take over and cause lots of grief. Yeasts live in everyones digestive tract. They’re only a problem when they grow out of control. Frequent antibiotic use and a high sugar diet can lead to a massive overgrowth of yeast. Candida Albicans is a particularly harmful yeast that can damage your bowels and cause “leaky gut.” Once Candida or other yeasts take control, it can be hard to get your intestinal flora back in balance. Doctors used to think stress was one of the causes of Irritable bowel syndrome. Studies later showed that stress by itself doesn’t cause IBS. However stress is a major IBS trigger. Learning to handle stress can make a big difference for many people with IBS. There are a lot of things in our foods that don’t belong there. Our bodies don’t know what to do with them. How many food labels have words we can’t pronounce? Mono sodium glutamate (MSG) and aspartame (also called Nutrasweet and other names) are “excitotoxins.” Excitotoxins can damage neurotransmitters, and cause a variety of problems. Sorbitol is a sweetener used in chewing gum and other things. It’s actually a LAXATIVE! Laxatives are usually used for constipation. Probably not a good idea for people who have IBS with diarrhea. Let’s get busy doing something about it! What’s up,I log on to your blogs named “Causes of Irritable Bowel Syndrome” like every week.Your humoristic style is awesome, keep doing what you’re doing! And you can look our website about powerful love spells. Came across your site after going through a bad bout last night. This one was not expected, but I guess it should have been, as I have been cheating something terrible. I am lactose intolerant, can’t tolerate beans, haven’t been eating meat for a very long time. Haven’t had soda pop in umpteen ages. So…guess what, yep, you guessed it. In the last couple weeks or so, I have had a bit of all the no, no’s. And man did it ever backfire! No sleep for this dummy last night. I have diabetes, fibromyalgia, high BP, and just diagnosed with bilateral polymyalgia rheumatica (a type of arthritis). Oh boy, what next! No soda pop of any kind for years and years. Reason: Carbon dioxide gas is very difficult for the body to get rid of, and causes all kinds of problems. Also cannot tolerate caffeine. Has high fructose corn syrup, sugar, phosphoric acid. Bad stuff there folks. Plus: I had made a beet and apple salad, with onions and pecans and almonds, walnut oil & balsamic vinegar. Very bad combo. Reason: Beet and apple are very powerful cleansing for the liver. Oil is good: omega 3. Had been on gluten-free bread for a long time. Been lazy and had my husband’s bread chock full of gluten. So, now for a little wisdom I have gleaned from all this. I need to go on the “Yeast Busters To The Rescue” Diet once again. The sub-heading is: Your Complete Guide to a Customized Candida Recovery Program by Tari Lee Cornish, NC. It comes as a kit in a box from your local health food store. If they haven’t got it on the shelf, they will order it in for you. The last time I bought it cost about $90+. When I was on it I lost 25 lbs. What a plus, as I needed it! Never felt so good after going through it. Also there is a web site by Karen Tripp. Go there for wonderful info. I don’t think she answers email, especially if you have not read the info on her website thoroughly and ask questions that are answered on the website. Next: I have a bread machine and need to, once again, make my own bread. Some years ago I got the “Bread Box” by Toastmaster. So easy to make bread in it. And I know what is in it. If you google how bread is made you would be surprised to find out how much garbage they put in it. Also, just read the ingredients on the package of bread you buy. I bought some Bob’s Red Mill Gluten Free Flower and will be making my own bread once again from now on. I also found out how really important omega 3 is for our bodies. Omega 3 gets rid of inflammation in our bodies. I was watching a program on KCTS by a woman whose last name is Watson. I think the name of the program was “The Heart of Health”. Anyway, she tells us how inflammation in the very deepest cells of our body contribute to various diseases developing when we don’t even know are developing until they become full blown recognizable diseases. I then googled ‘foods containing omega 3’ and I found wonderful info. Lists of foods, a site that gave so much info I was astounded; and it gave a link to Epicurious for recipes to help. I don’t remember the sites at this time, but can post it later. There is also fish oil soft capsules that are of tremendous help for use everyday. There is also a site I came across that gives good advice and also sells the capsules. They tell you what to look for in a high quality fish oil capsule. And it should be IFOS certified. Google Omegavia for a wonderful site full of free info. Because I have fibromyalgia, I am low in magnesium. I did not realize thi was a contributing factor in fibro, but I had a blood test done and sure enough I am low. So I now take the supplement. When I googled for the information, the info came back that one cannot take too much magnesium. In the Dead Sea, the water has so much magnesium, that when a person goes for a swim, they get a HUGE amount absorbed through their skin. Thousands of mls each time. And they go in every day. So, magnesium is good for other problems in my estimation. Don’t need to combine it with calcium all the time either. Oh yes, I almost forgot. I also use the Hulda Clark Parasite protocol to clear one of those bad wriggly things one can do without. Have to do that one again also. Gosh, I can’t believe I have become so lazy of late. I am on prednisone 20 mg for muscle pain in my arms. Tried to get off it the other day and had a horrible episode of burning, cramping pain. So went on it again this morning. It has so many side effects that I am so scared of. It lowers the immune system and did start a number on me, which is I started to cough like crazy and knew my bronchitis was about to become full blown. So, I used my Himalayan Salt Inhaler and killed that off quick. It was amazing how quick it stopped the cough! Himalayan sea salt is mined and is ancient salt. It has 92 minerals, etc in it. So I guess that’s why it helped me so fast. So my next goal is to get off Prednisone, safely. Well, that’s it for now folks. If you have any questions I would be happy to contribute anything I have researched. Have a happy and healthy new year in 2013; and a very merry xmas. PS: A very nice website you have Shawn. I haven’t gone through all of it, but looks good. Hello, my IBS stems from a post infectious food poisoning incident at a Cuban restaurant in April of 2008. I have actually had many tests done: Stool tests came back negative, celiacs – negative, although I am primarily gluten free. I use the highest end probiotics in the world (VSL-3, Ultra Flora 200 billion and Dr. Ohira’s to name a few). I have tried hypnotherapy and cognitive behavioral therapy as well as yoga and tai chi. I am interested in skins tests that I have recently read about. I am well read on this subject, am a trainer, run a health club and have seen over 30 specialists from both the Eastern and Western worlds. I am looking for someone who has had SUCCESS with removing Post infectious IBS. I often manage my symptoms; I want to do more than just manage my symptoms. I want my life back. This is why I have reached out to you. Michael, it sounds like you’ve really been suffering. It also sounds like you’ve tried just about everything out there trying to get better. While I’m not a doctor, I do think you should go and have skin allergy testing. Thanks for making this website. I have had some GI problems since around puberty, but they got significantly worse following removal of my gallbladder at 28. I wonder how the impact of bile being directly released into the small intestine has affected my predisposition towards IBS symptoms. Just wondering if you’ve explored the possible connection with gallbladder removal/IBS?